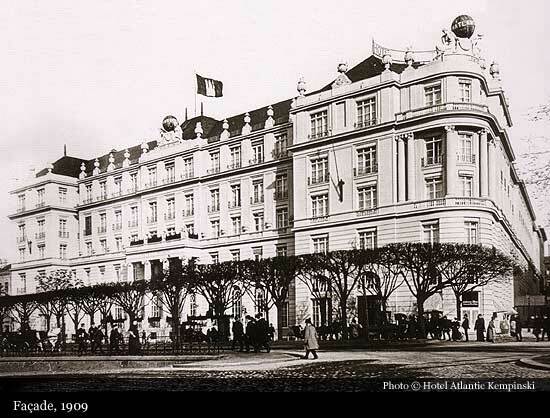 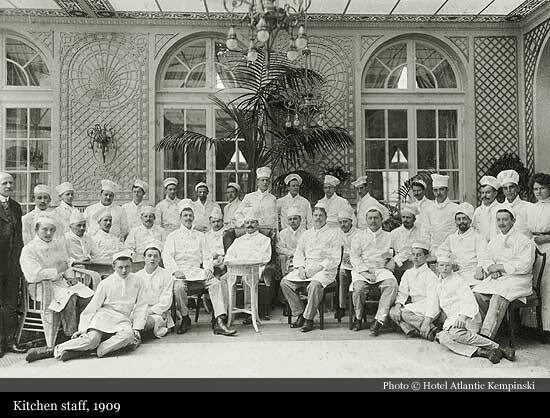 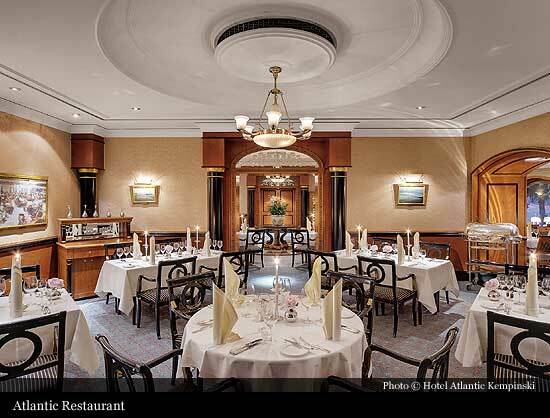 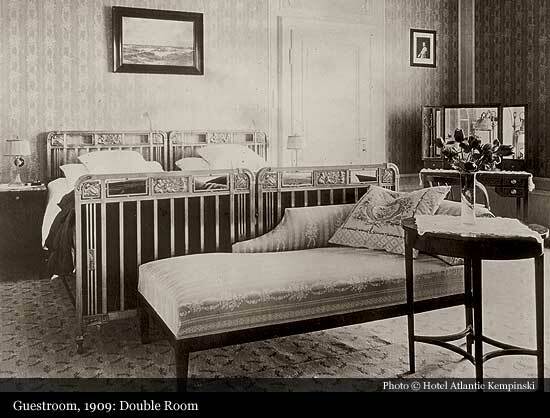 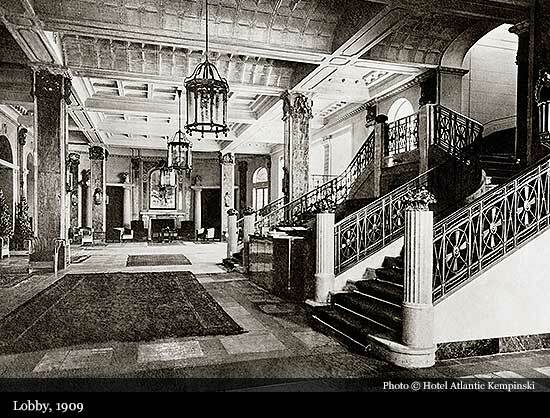 On 2nd May 1909 the Hotel Atlantic opened its doors as a Grand Hotel for the passengers of the luxurious ocean liners. 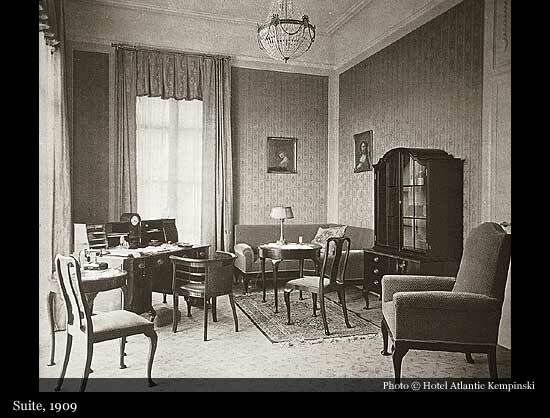 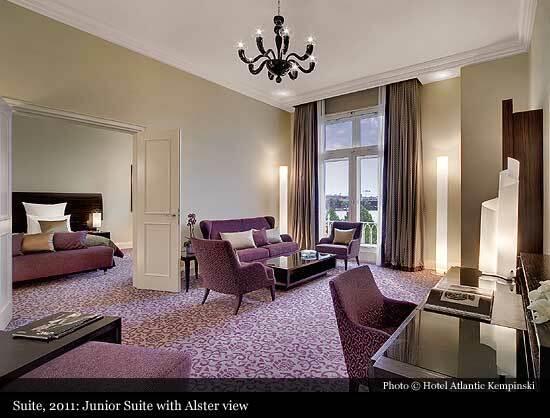 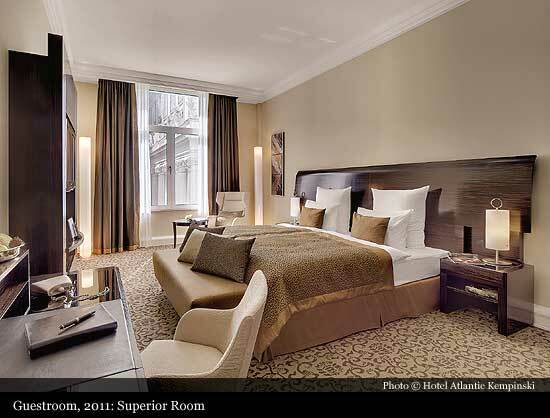 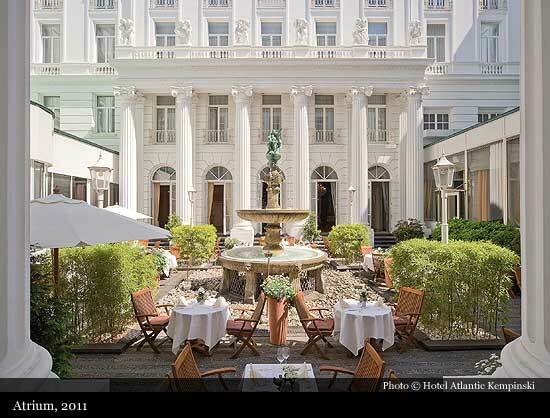 Ever since the Hotel Atlantic plays an important part in social life of Hamburg. 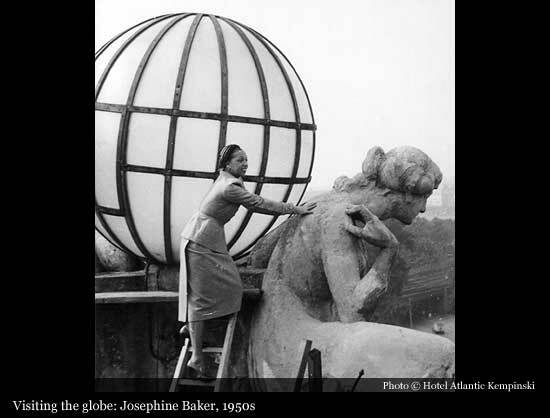 The caryatids with its globe have become one of the town's landmark. 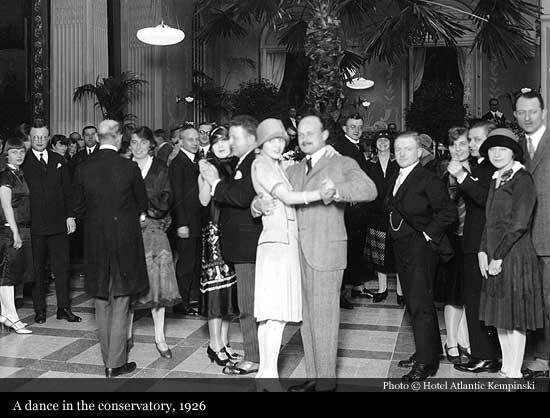 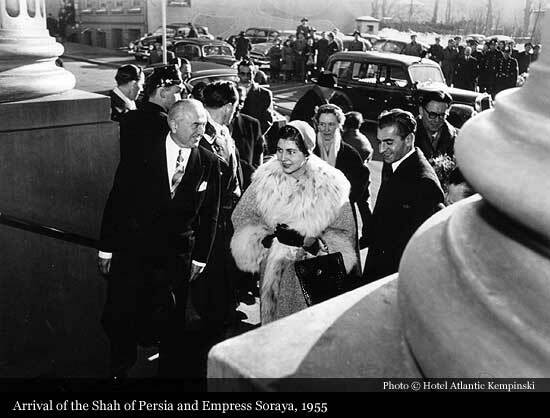 It was only two years between beginning work on the foundations and the gala opening of the magnificent new building. 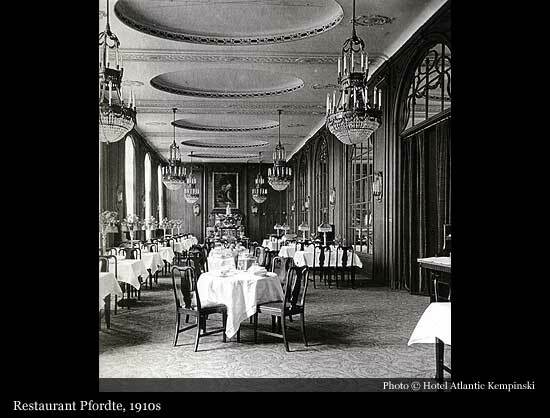 The investors spent 14 million Goldmarks on their sensational new hotel, which was fully booked only a few days after the opening. 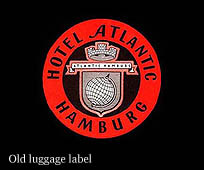 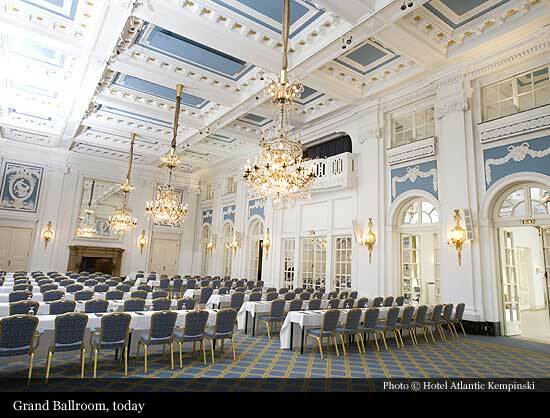 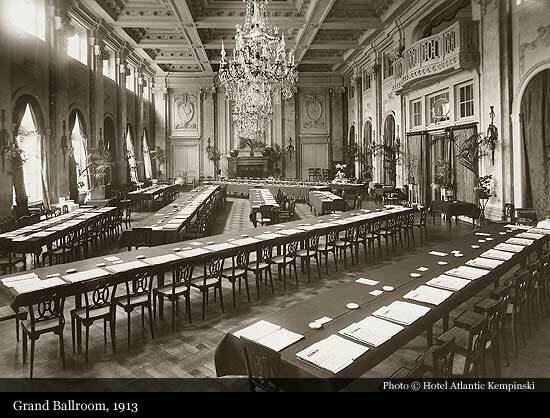 The Hotel Atlantic was closely linked to shipping from the very beginning, because major shipping lines such as Hapag lodged their first-class passengers at the Atlantic before the Atlantic crossing. 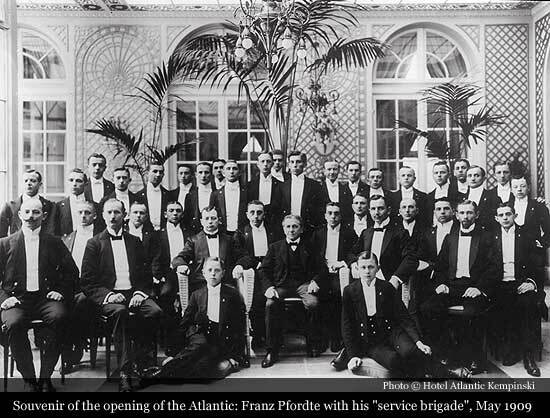 During its history, the Hotel Atlantic survived two world wars, economical miracles and crisis, welcomed heads of state, rock stars, sportsmen, musicians etc. 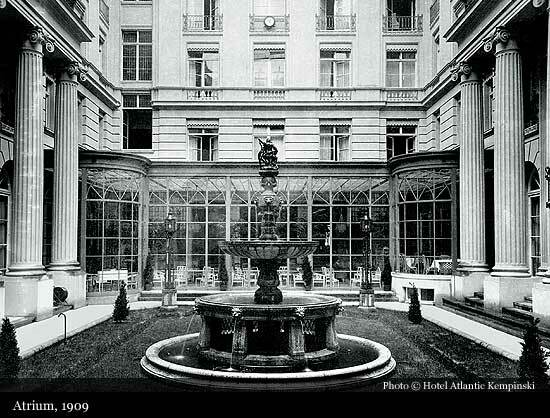 All of them found a home from home at the Hotel Atlantic and made the hotel to a paragon of Grand Hotels. 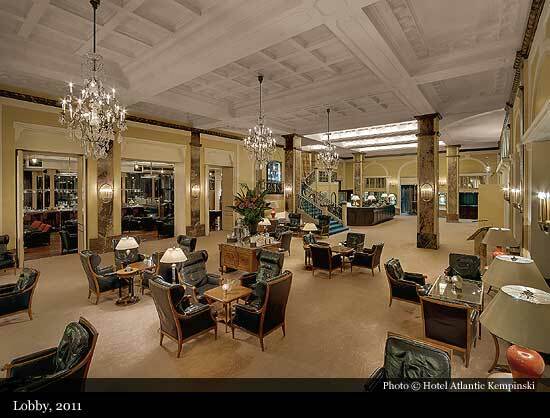 Hotel was used as a filming location many times. 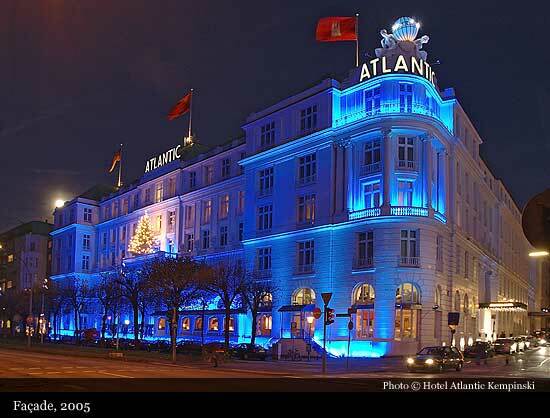 Part of the shooting of the new James Bond movie "Tomorrow Never Dies", starring Pierce Brosnan, take place at the Atlantic Hotel. 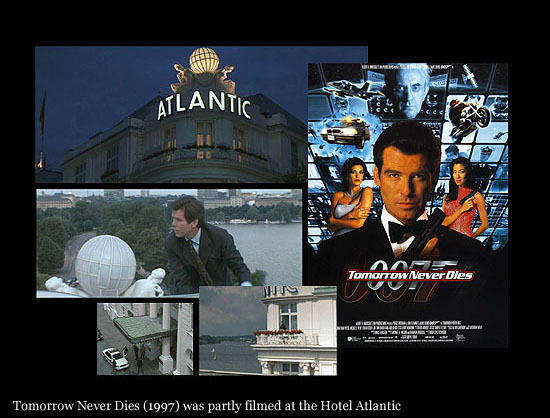 Among the scenes shot here is a stunt scene in which Brosnan - or rather his stunt double - climbs from the Atlantic Suite to the globe on the roof of the Hotel.